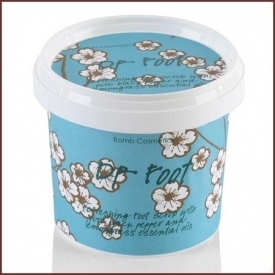 A zingy and refreshing foot scrub made with moisturising Shea Butter and Sunflower oil. Also containing Black Pepper and Lemongrass essential oils to enliven and condition tired feet. 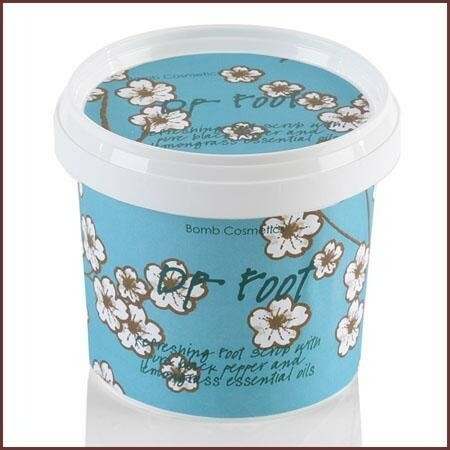 Scoop a little of this lightly grained refreshing foot scrub into your hands and apply round the feet gently massaging in circular movements. Wash off after use. Sucrose, Glycerin, Aqua (Water), Sodium Cocoyl Isethionate, Sorbitol, Propylene Glycol, Disodium Lauryl Sulfosuccinate, Parfum (Fragrance), Phenoxyethanol, Helianthus Annuus (Sunflower) Seed Oil, Ethylhexylglycerin, Tetrasodium Etidronate, Cymbopogon Schoenanthus Oil, Piper Nigrum (Pepper) Fruit Oil, Denatonium Benzoate, Geraniol, Citral, Limonene, Linalool, CI 19140 (Yellow 5). Worked really well, scent is nice. Shame about the price, but was worth the treat for my feet. Lasts quite a while too. Feet looked lovely and polished after using. The scent was very refreshing and was just the right roughness to get off dead skin.